Alam was picked up from his home by the police just hours after he went live on Facebook to describe the student protests in the city and how he was attacked by members of the ruling party while covering a demonstration. 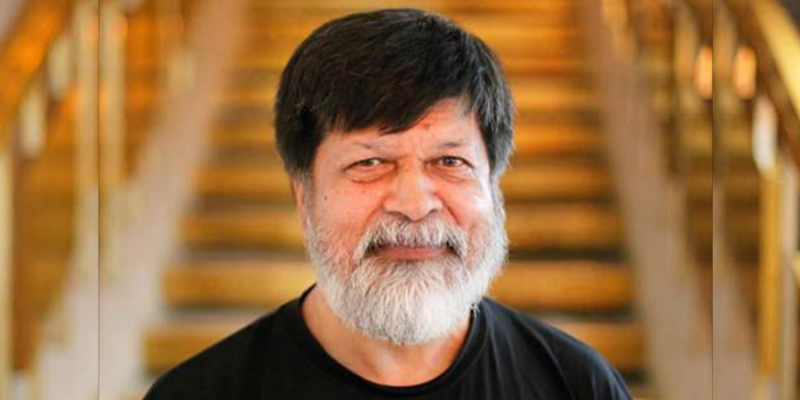 New Delhi: Photographer Shahidul Alam, whose photographs depicting human rights violations have won him great accolades, was picked up for interrogation by the Dhaka police in Bangladesh on August 5 after posting a Facebook Live on social media on the ongoing students protests in Dhaka. A recent interview he did with Al-Jazeera English where he criticised the government is also believed to be one of the reason he was picked up. The founder of the Bangladeshi multimedia organisation Drik and Pathshala Media Institute, was picked up from his home at 10.30 pm by plainclothes policemen who claimed to be from the detective branch of the Dhaka after he posted a video on Facebook about the student protest which turned violent this weekend. Dhaka Metropolitan Police (DMP) Detective Branch later confirmed to the Dhaka Tribune that they had picked him up for interrogation. In the video, Alam, who spoke about how his camera was smashed by ‘goons’ during an attack on him allegedly by ruling party activists as he was taking a video of their demonstrations, also describes and criticises the excessive use of force used on the students by the police to break up the protest. It is feared that he may be charged under Section 57 of Bangladesh’s draconian Information Communication Technology Act, which stipulates that any post, image, or video on an electronic format that “causes to deteriorate law and order, prejudice the image of the state or person or hurt religious beliefs” are non-bailable offences. 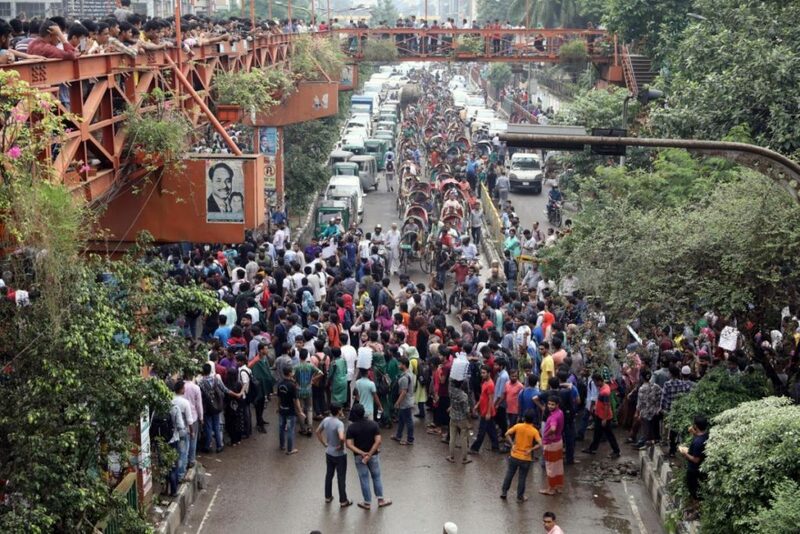 Thousands of students have joined demonstrations in Dhaka calling for safer roads after a boy and a girl were killed by a speeding bus on July 29. Since then, tens of thousands of students have demanded safer roads. Dozens have been injured in recent days, and hundreds of buses set ablaze. The police fired tear gas shells to disperse protesters on Sunday. The Dhaka Tribune reported a crackdown at a university on Monday. At least five journalists were attacked at the student protests, including a photographer for The Associated Press who was briefly hospitalised, according to the AP. CPJ has documented multiple attacks on journalists in recent weeks in Bangladesh. The International Federation of Journalists (IFJ) and Amnesty International have condemned the arrest and demanded his release. With Bangladesh heading to elections this year, Waraich warned, “t is crucial that the government adheres to its international obligations, including the protection of the rights to freedom of expression, association, peaceful assembly and security of persons”. “Such acts of arrest and violence are against the press freedom and hinders independent journalism,” IFJ said in a press release.